Gentleness is often symbolized with a deer. I thought we’d look at some pictures and YouTube videos of a deer today. 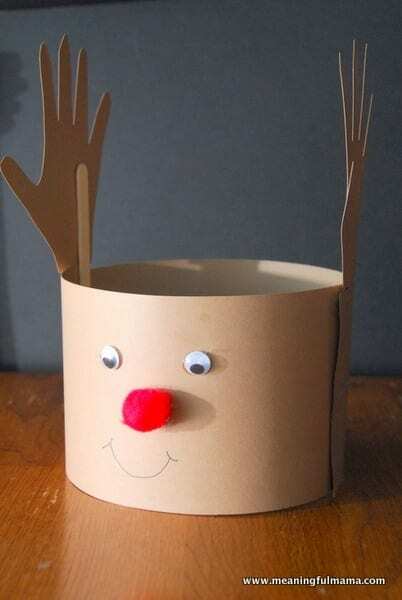 We would talk about how peaceful and graceful they seem and then make our own deer craft. Of course, when I looked on YouTube, I found a bunch of videos on deer attacking people and opted out of showing those. I did find some gentle deer clips and showed some of those. I’ll just share one here, even though they were all fairly simple, unexciting videos. 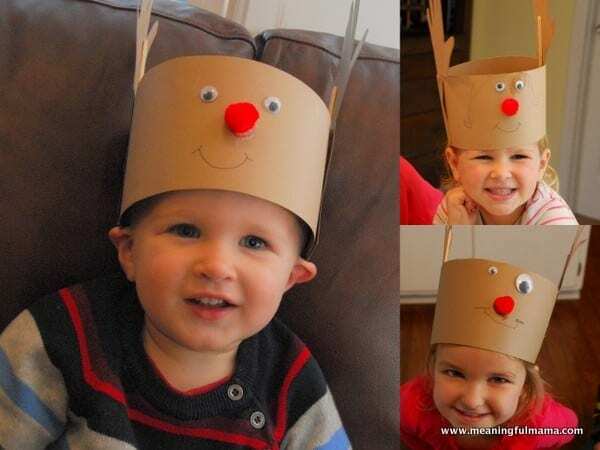 Next came making deer hats. They kids loved the final product. 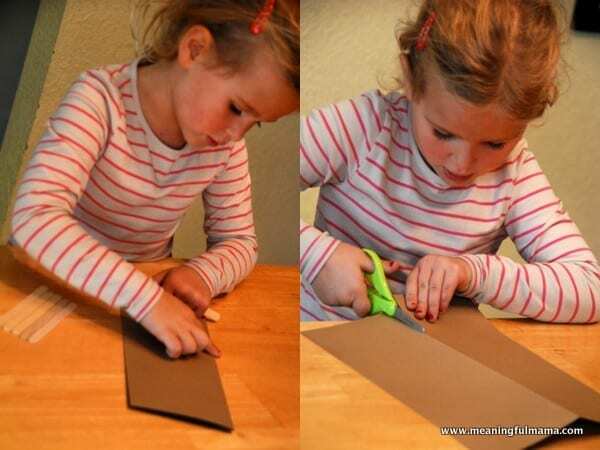 First, take a brown piece of paper (we used card stock for sturdiness, but you could use construction), fold it in half and cut along the line. 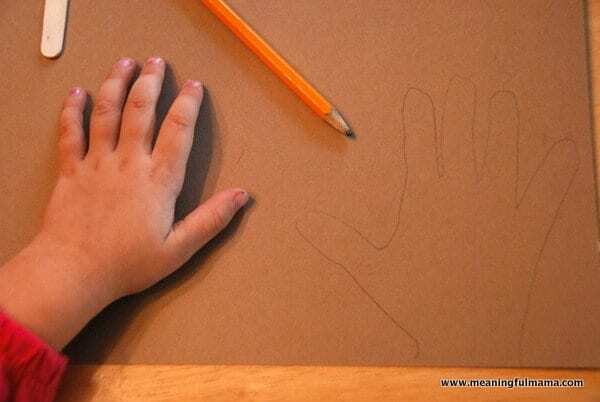 Next, trace your child’s hand print on another piece of brown paper. Cut that out. 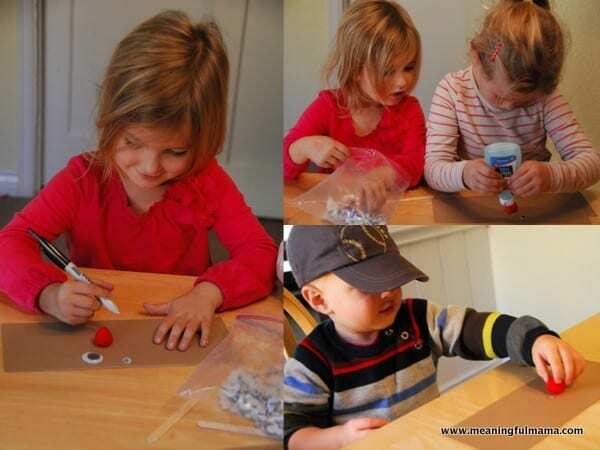 Next, have the kids glue on google eyes, a pom pom nose and draw on a smile. For the sake of sturdiness, I did the rest with a glue gun. I glued the two strips together at the ends. Then, I added popsicle sticks sticking up and attached the antler hands. Finally, I looped the other end around and glued along the edge. And there ya have a cute hate for the kiddos. I got this idea from Free Kids Crafts.